So it’s a sunny Saturday and what better way to spend it than to sit back and sip on lovely glasses of wine with some Italian nibbles. 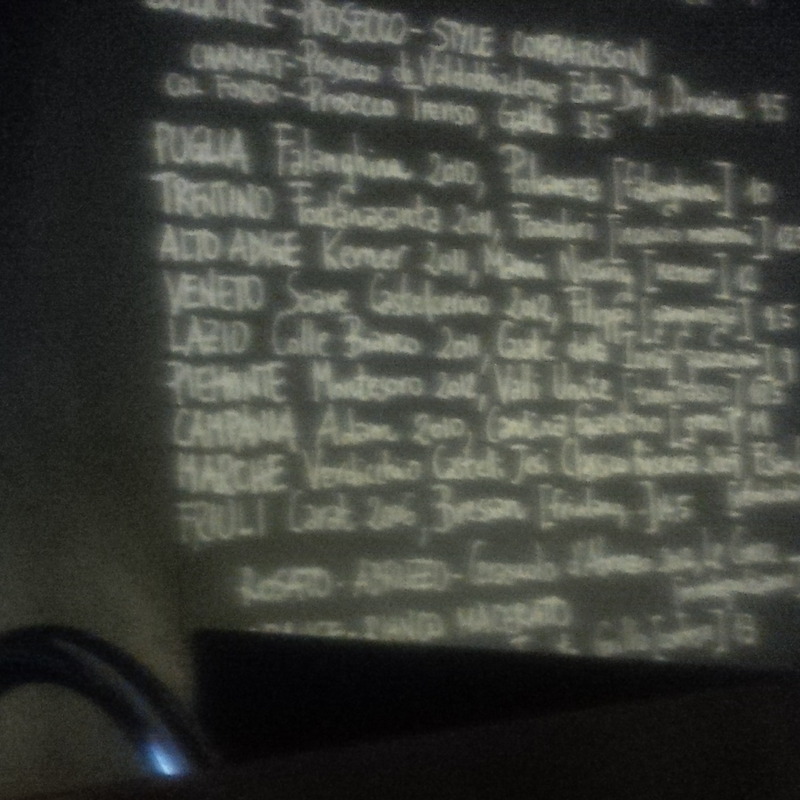 I decide to venture into the heart of Surry Hills and enjoy the flow of lovely Italian wines with some small plates. 121BC is a tiny bar (just one long communal table) with 100ml pours of a variety of Italian wine (updated daily on the chalk board). There is also some fresh small plate food on the chalkboard which makes for the perfect setting to waste a Saturday afternoon. I start with a lovely Soave – Filippi Soave Castelcerino 2012 which I pair with some fresh off the grill tiger prawns with nudja dressing. The spice of the nudja adds a kick but let’s the main start of dish “the prawn” showcase its fresh sea flavour to deliver an amazing tasting experience. 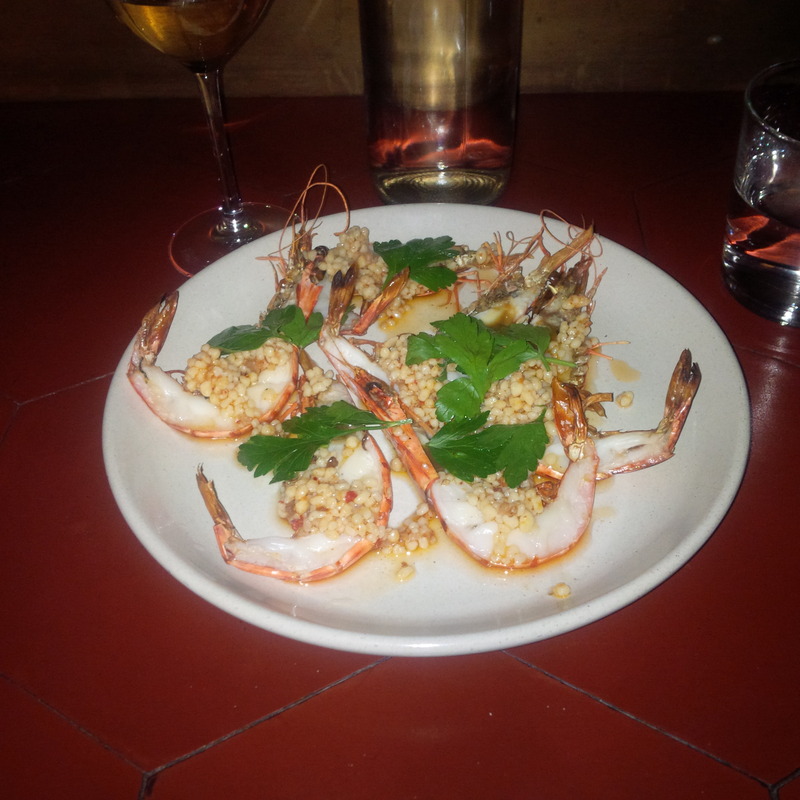 There’s life, love and fresh tiger prawns. The Soave is beautiful, long finish, acidity and light to medium body – clean and pure. 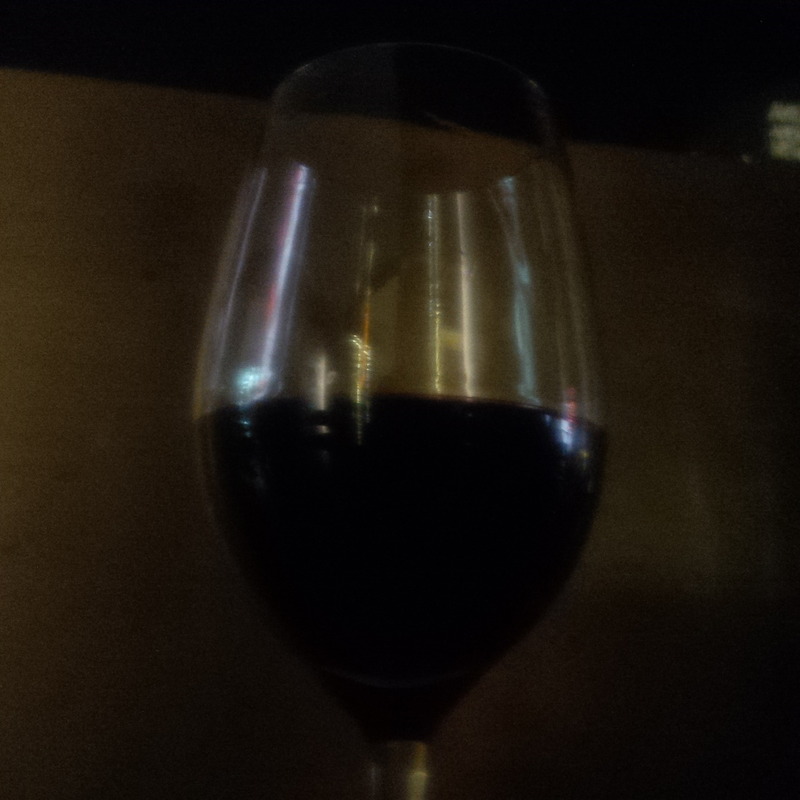 Then I decide to switch to some Italian red varietals. A Chianti Classico Villa del Cigliano 2009 – This wine is defined by its Berry fruit flavours, but there is a hint of liquorice for those who stop to absorb each drop (and one should). The spicy from their oak is notable and adds a little extra touch. A blend of Nero d’Avola and Frappato Occhipinti SP68 Rosso 2012 – Perfect rich dark fruitiness in the wine and a touch lighter raspberry taste, seriously good wine. 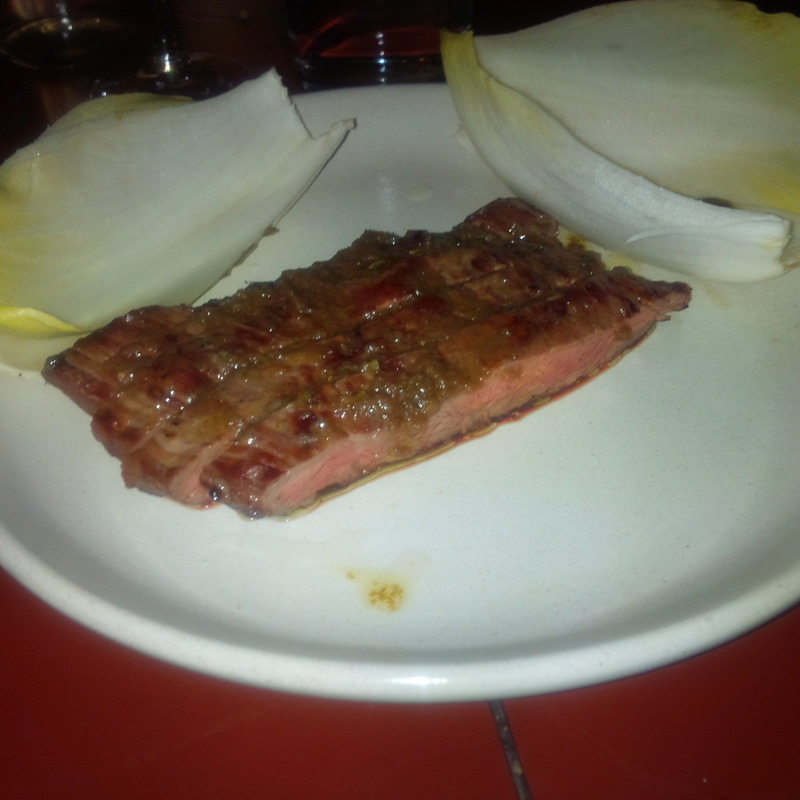 The reds are paired with lovely fillets of steak with witlof. 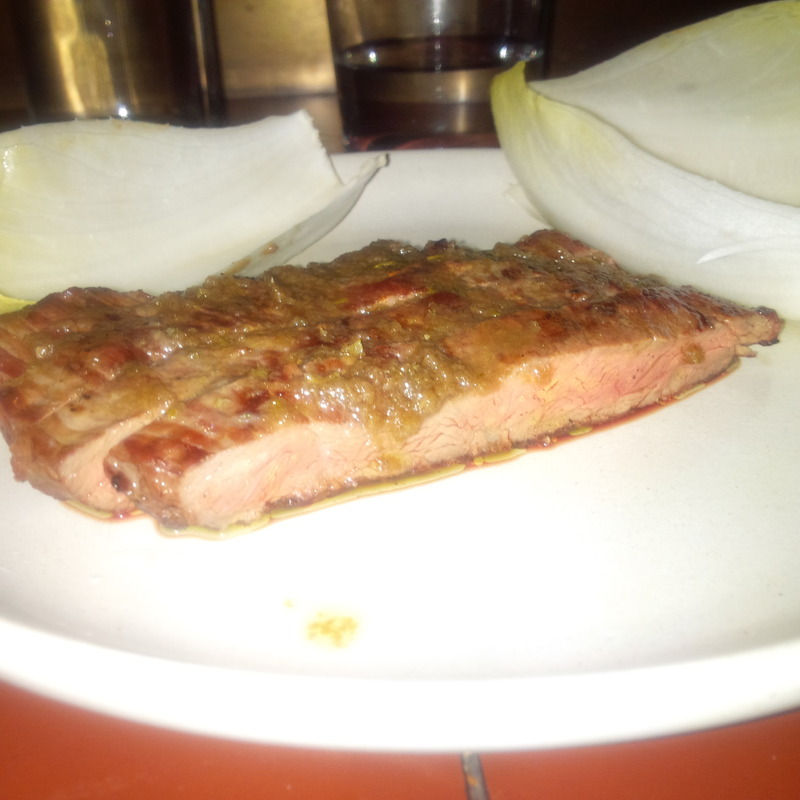 The steak has a beautiful anchovy paste on top which adds the right level of salt and bite to the dish. It is seriously amazing! 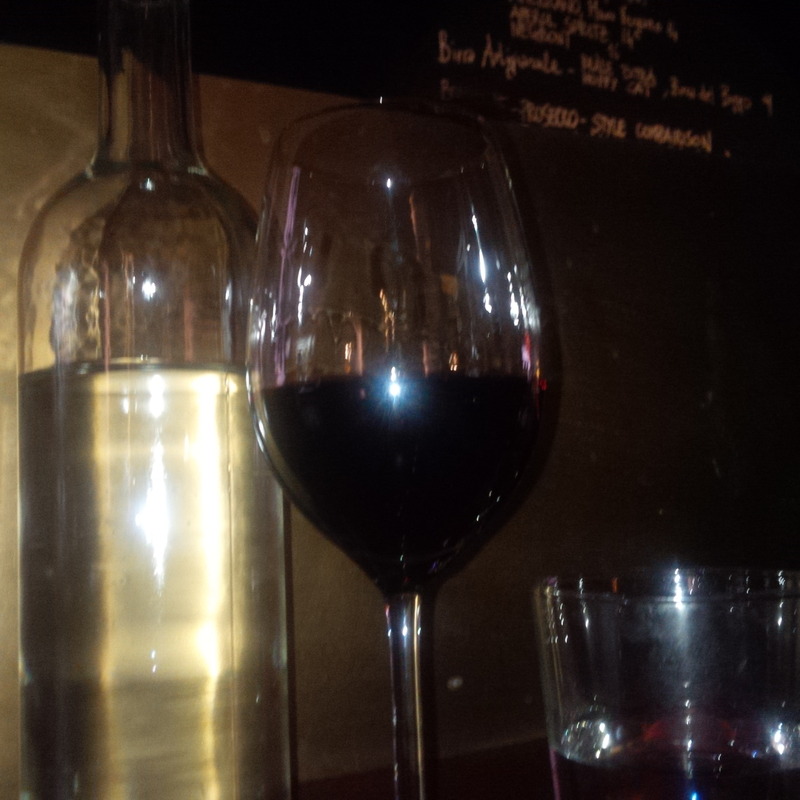 For a moment, I gaze past the waitress, the people around me and feel like I am back in Venice, the small plates, the bars and wine pours… it’s idyllic, its perfect… however the eager waitress regular top-ups of my glass interrupt my day dreaming and alas I am back in Sydney (for a moment :)). I truly recommend this place, the staff are cool, the food is amazing and the selection of wines means you can feel like you’re in Italy without hopping on a plane (unfortunately that hurts your frequent flyer point balance).